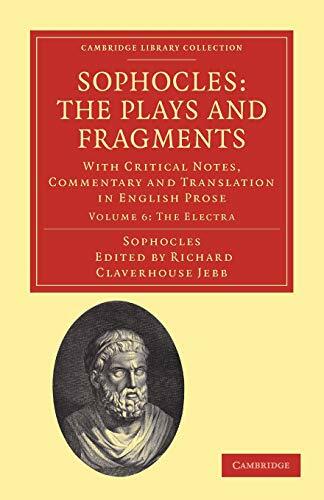 Sir Richard Jebb's seven-volume edition of the works of Sophocles, published between 1883 and 1896, remains a landmark in Greek scholarship. The text itself is given with an introduction, a parallel English translation, collation and explanatory notes. This volume contains Electra.